This is a healthy and delicious chat. This would taste all the more delicious when mixed fruits are combined. I didn't have any other fruit with me today, so just ended up with apple and barley. 2. Serve immediately or chilled. very healthy, refreshing and delicious chaat..I am yet to try cooking with barley. Thanks for ur vote nithu. Loving your healthy barley dishes...very nutritious dear. Wow, this is a brilliant idea to make a healthy chat. Interesting chaat recipe. Would love to try. Very innovative and healthy chaat. 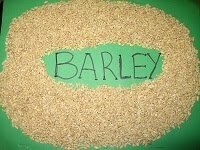 Thank you for sending it to CWF:Barley. Great recipe! Sounds really healthy.Thanks for sharing! Healthy and innovative chaat !!! thats a great idea of a healthy salad. 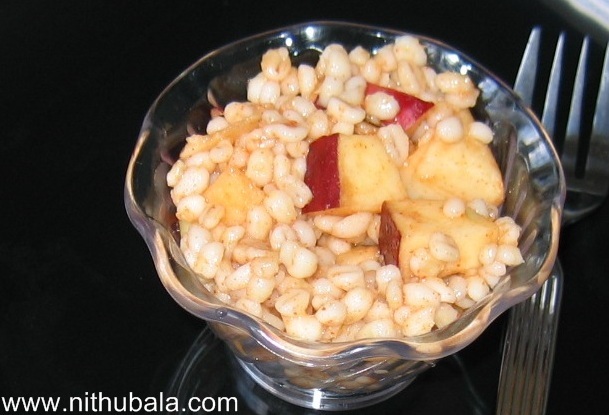 lovely combination of little crunch and sweet apples. That a healthy ad nutritious one..